I think that it is an undulated Tinamou. There was lot of adults of this species in Valle Emeralda. 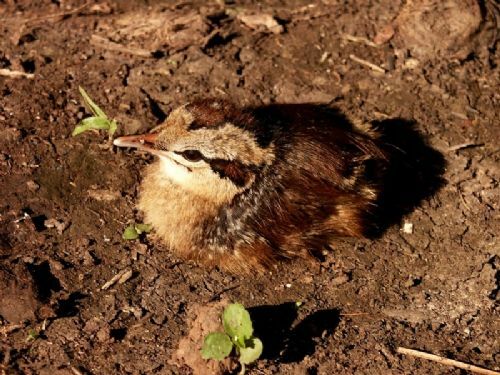 But it is possible to be a Tataupa Tinamou because there was Tataupa Tinamou too !